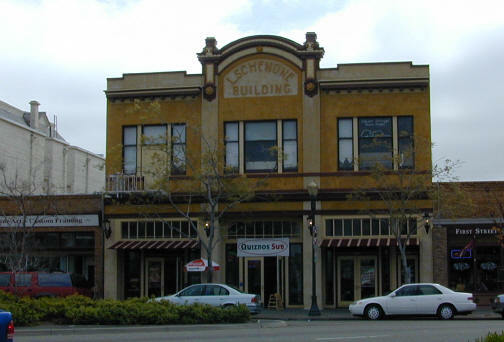 The Schenone building opened in June of 1914, 5 years after the Masonic Hall. The center portion was the entrance to the theatre, which was built directly behind it. 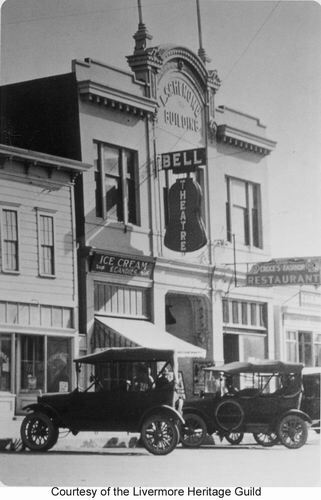 The tickets were purchased at the front of the Schenone building, then a hallway led back to the theatre, the screen being at the wall at 2nd St. 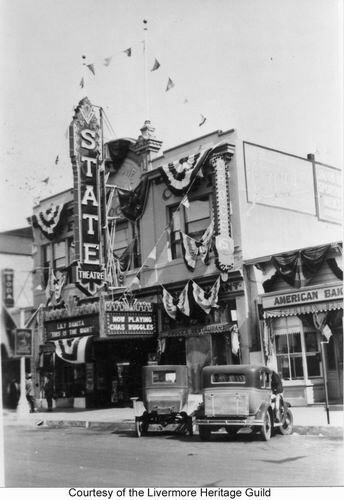 The theatre is now the Theatre Mall on 2nd St.
All photos show the Bell and State names. Other portions of the building has contained various businesses. 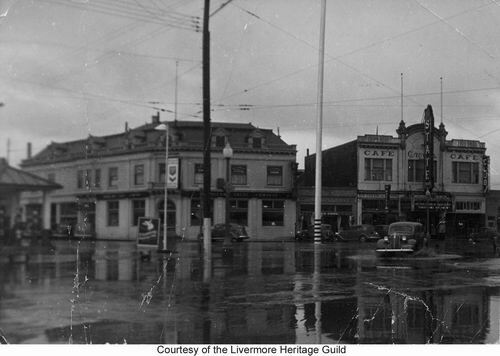 Croce's Cafe was in the right side for quite a while, followed by Club 1079 and now the Livermore Saloon. The left side has had a candy store, Cheerio's Gifts & Cards, and just opened as Quiznos. Additional photos of the Schenone building are throughout these pages, and especially on Downtown Page 3. Croce's Restaurant is on the right side. "Lily Da?mita This is the Night"
Schenone building after a 2002 remodel. Photo taken March 22, 2003 by eLivermore.com, shortly after Quiznos opened.